Experience the gold standard of easy living at Sunset Ridge Apartment Homes in Omaha, Nebraska. A beautiful townhome community nestled in one of the city’s most charming residential neighborhoods, Sunset Ridge combines value, style, comfort, and convenience into a singular lifestyle. Live footsteps from major shopping, dining, and entertainment destinations in Omaha– all within close proximity to the serenity of our private community. With the finest amenities and services available, we provide you with all of the modern comforts you deserve in a home and you have your choice of a two, three, or four-bedroom townhome floor plans. With a state-of-the-art fitness center, a community clubhouse, and an outdoor basketball court, the options for recreation and relaxation are endless at Sunset Ridge. Call to schedule your personal tour today! 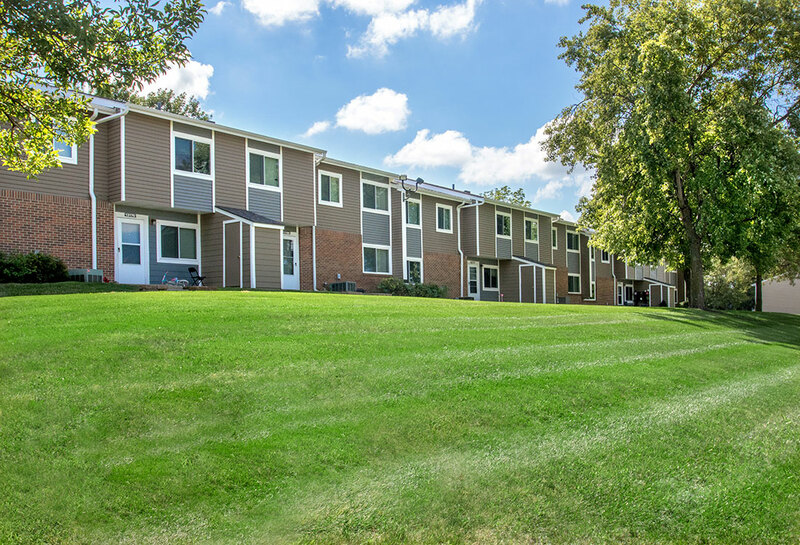 With seamless access to Interstate 80 and US 275, Sunset Ridge Apartment Homes boasts a prime location in the heart of Omaha, making it simple to explore all the charm of the city. Outdoor enthusiasts will enjoy the multiple parks in the area, and golf lovers can get their fill of sunshine and fairways at the Westwood Golf Course. Surrounding our community, you will have quick access to L Street Marketplace and Montclair Shopping Center with a variety of shopping and dining options, like pizza at Zio’s Pizzeria to the signature sandwiches at Schlotzsky’s. Enjoy shopping at the Oak View Mall, located only a ten minutes from your new home. With so many options available within our friendly, intimate neighborhood, it's easy to see why residents love to call our community home. Stop by our property today and experience how good life can be at Sunset Ridge.